Wait a minute! Didn't I just post an Indian Carrot Soup recipe a few days ago? Yup, guilty as charged. You don't even need to bring the warrant of arrest, just show me the handcuffs and I'll step forward willingly to accept my fate. But fear not! Because I bring you Carrot Soup: Round 2. Which also, conveniently, includes butternut. Will there be a round three? Dun-dun-dunnnnnnnnnnnn. Okay all jokes aside though, this soup was truly phe-no-me-nal. Yes, I know I said that about the last one, but you want the truth? That previous carrot soup is no match for this one. There I said it. I'm sorry Indian Carrot Soup, but you just don't have that x-factor. Okay you might have the x-factor, but this one? It has the x, y and z factors. The citrus and especially the complex notes from the preserved lemon* gives a lovely twang to this otherwise rather ordinary rendition of carrot and butternut soup. And the toasted seeds on top? Heavenly bits of crunch. I think all soups should have toasted crunchy bits on top. Don't you? * Disclaimer: I might be slightly biased as I'm a recent preserved lemon convert & addict. I have to stop myself from eating it from the jar. True story. 1. Arrange carrots, butternut, onion and garlic cloves in an oven roasting tray. Sprinkle with salt and drizzle with olive oil, then place in oven at 180C to roast for 30 minutes. Vegetables should be soft at this stage. 2. Add all the veggies to a blender, including the garlic which you've squeezed out of it's skins, add a little bit of the water and puree. 3. Spoon the puree into a large enough pot, then add water, honey, orange juice, lemon juice and preserved lemons. Stir, cover and cook for another 10 - 15 minutes over medium heat. 4. Meanwhile, toast the sesame and cumin seeds in a small frying pan over medium-high heat for a few seconds (be careful as they burn easily). 5. Ladle the soup into bowls, drizzling with yoghurt (if using) and sprinkling with the toasted seeds and orange zest. Serve immediately. * If you don't have a jar of preserved lemons handy, you can replace the juice with an equal quantity of lemon juice, and adjust the salt to taste. The taste, however, won't be quite the same. Thanks Tami! How lovely of you to stop by. Your recipe was a great inspiration for me! I love any version of carrot soup and I too often repost VERY similar recipes. But then, that just goes to show that you have a 'sure thing'. Grin. This looks souper...grin. AND....I love your photography today. You're right. I mean I thought the carrot soup was good. But you just stepped it up with this one. Big time. Outstanding.....wonderful way to celebrate the departure of summer and the arrival of winter....great pics! 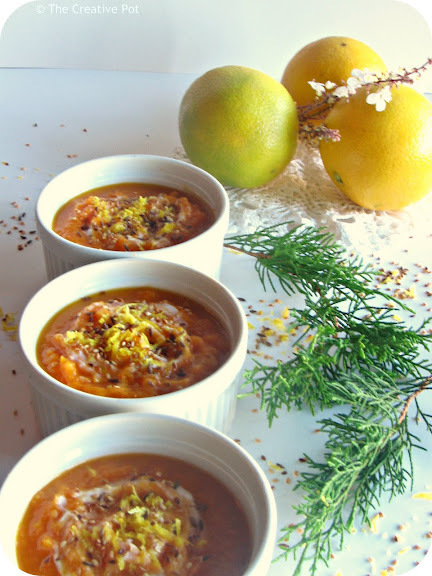 What an incredible combination of flavors in this delicious soup, excellent recipe! 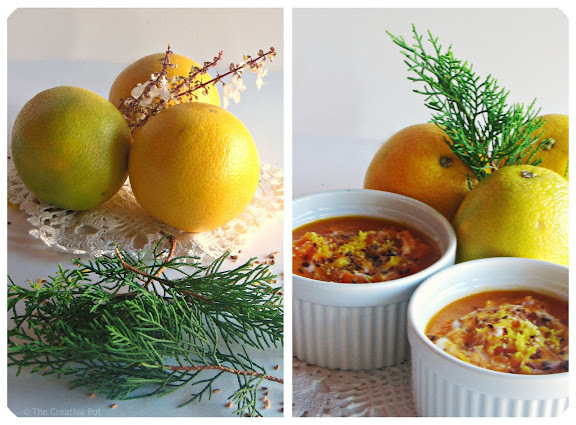 Lovely, I love preserve lemon, so I can imagine how good this soup is. wow.... ek love jou fotos!! Mmm, preserved lemons add such a fantastic sparkle to dishes. Loving this soup!